CitySolve™ is the leading business process and reporting software for asset managers, town planners, building control officials, municipal property valuers and CFO’s in South Africa. 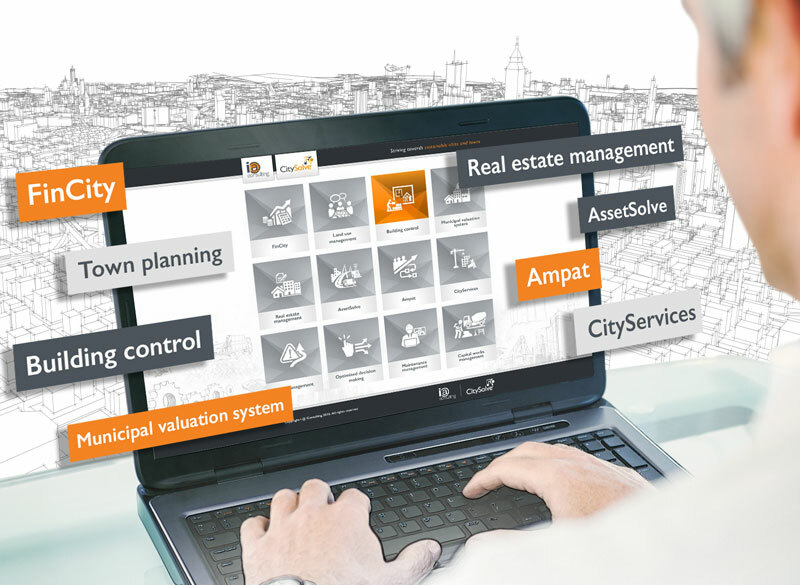 The system offers an integrated asset management module as well as modules that simplifies land use management processes, building control processes, valuation processes, real estate management, maintenance management and revenue enhancement. These modules seamlessly integrate with each other as well as with the core financial and GIS systems. CitySolve™ leads the way as a single point entry and transaction level management and control system integrating ALL land, property and asset related business processes, meeting the requirements of mSCOA, SPLUMA, GRAP, SANS 55001 and CIDMS. The system consist of a number of modules, each catering for the needs of a specific municipal business process. The modules are all seamlessly integrated and function as building blocks of the system. 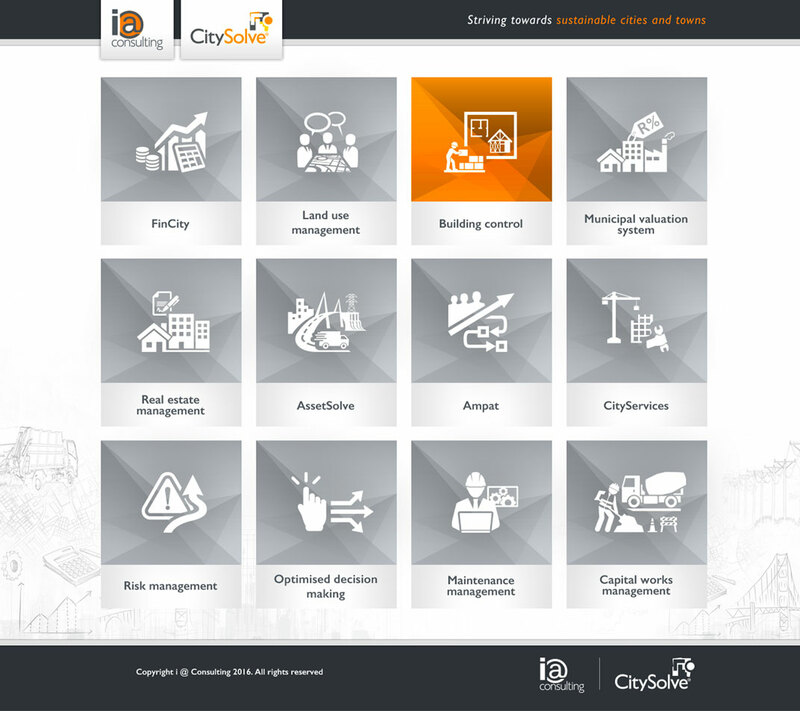 With its unique ability to weave together the transaction flow between planning (IDP, SDF and MTREF), revenue and financial management (mSCOA and billing) through to asset management and financial reporting (SANS 55001 and GRAP), CitySolveTM is the most comprehensive and integrated business management tool within the municipal environment, and a MUST have to enable assurance on completeness of assets and revenue.